The World Poverty Clock is ticking faster as it sounds both good and bad news on global poverty level. 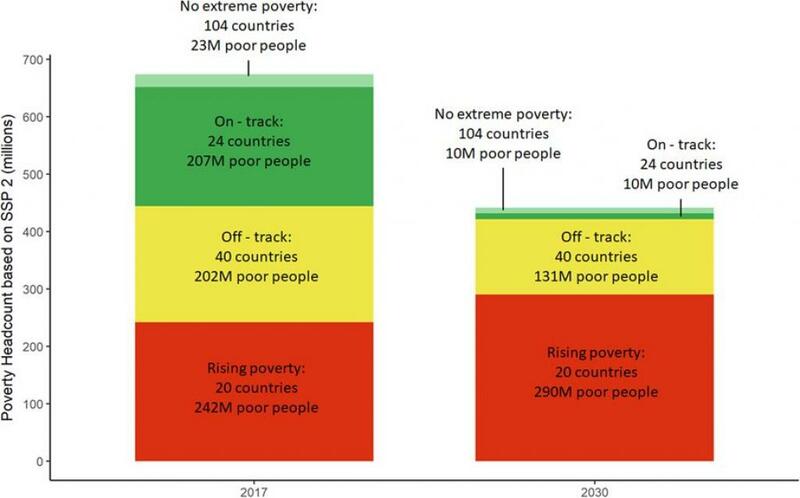 Accessed at 12.35 pm on June 27, it gives away the bad news first at the top of the tool: the world will miss the first Sustainable Development Goal (SDG) of a poverty-free world. But as one navigates inside, there is good news: India’s level of extreme poverty (defined as $1.90/day threshold) is coming down faster. In between, a note of credit: Bangladesh is reducing poverty faster than India—a country that till now hosts the highest number of poor in the world. Journal Nature had published a paper titled “Will the Sustainable Development Goals be fulfilled? Assessing present and future global poverty” that has given the most definitive poverty count of the world in terms of fulfilling the SDG1—end poverty in all its forms everywhere. The analysis was based on poverty information of 188 countries and territories, covering 99.7 per cent of the world population. The World Poverty Clock is an online tool that presents the findings real time to help us understand how far we are behind the 2030 goal. According to this model, in 2016, the world was closest to meeting the SDG1. “Our model estimates indicate that on September 1, 2017, 647 million people live in extreme poverty. Every minute 70 people escape poverty (or 1.2 people per second). This is close to the SDG-target (92 people per minute, or 1.5 per second) and allows us to estimate that around 36 million people have escaped extreme poverty in the year 2016,” says the study. When the website was accessed at 12.30 pm on June 27, it showed that in order to achieve SDG1, 1.6 people have to escape poverty per second. But the rate at that point of time was 1.1 people per second. But the worrying part, as the study dissects, is that by 2020 the rate of poverty reduction would slow down to below 50 people per minute. This is after the countries in Asia fulfilling their poverty reduction targets. With this, Africa becomes the continent with largest number of poor but with much slower rate of poverty reduction. In 2017, Africa had 418 million extreme poor, which would come down to 373 million in 2030. 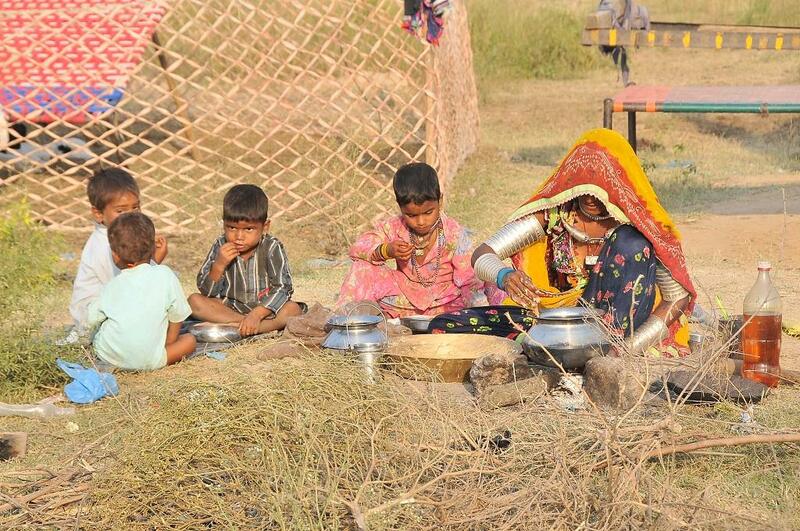 World’s poverty reduction is mostly driven by impressive poverty reduction in South Asia, East Asia and the Pacific. “(It is) fueled by the high rates of income per capita growth in India, Indonesia, Bangladesh, The Philippines, China and Pakistan. Substantial reductions in poverty in Sub-Saharan Africa are only observable from 2020 onwards,” says the survey. Going by the World Poverty Clock, Bangladesh is reducing poverty faster than it is expected to. To achieve 2030 target, Bangladesh needed 2.6 people escaping poverty every second. But it has a rate of 7.5 people per second. While India needed to ensure 10.8 people ditching poverty every second, the real achievement is 43.7. Both the populous countries seem to be contributing significantly to global poverty reduction. Africa, which already accounts for two-thirds of the world’s extreme poor, might make up 90 per cent of extreme poor population by 2030. “Fourteen out of 18 countries in the world—where the number of extreme poor is rising—are in Africa,” says the research paper. With a significant number of countries falling behind in poverty reduction, the global rate is already falling down. “Our projections show that by 2020, the pace could fall to 0.9 people per second, and to 0.5 people per second by 2022,” says the research paper. That means we are also creating a backlog of poor who need to be taken out of the poverty trap besides retaining the required rate of poverty reduction.